Da Vinci Robot Surgery Mistakes May be "Vastly Underreported"
The safety of da Vinci® robots, which have been used for surgical procedures in more than ¼ of all US hospitals, is once again under fire. A recent study out of Johns Hopkins University suggests that mistakes during da Vinci procedures are "vastly underreported." Made by Intuitive Surgical, Inc., the robots were first approved by the Food and Drug Administration (FDA) in 2000. Since then, the FDA has received a total of 247 injury or death reports linked to the da Vinci system. Johns Hopkins researchers say they have uncovered another five incidents that weren't reported to the FDA, and some officials suggest that the FDA reports are only the "tip of the iceberg." Without accurate numbers on how often the robotic surgeries fail, improving their safety will be difficult. Representatives for Intuitive say that any increase in errors should be attributed to an increase in surgeries. da Vinci robots performed about 100,000 procedures in 2008 compared to 367,000 last year. The da Vinci is frequently used for prostate removal surgeries and hysterectomies. 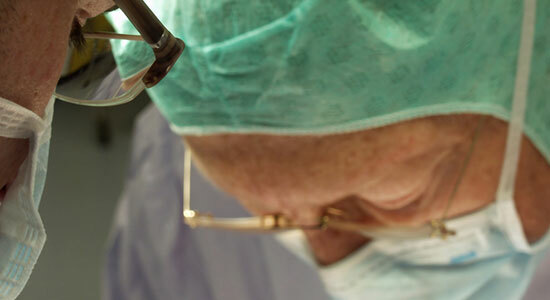 Surgeons operate the device using hand controls and watch the procedure on a screen. Those who support use of the robot say that it improves performance during delicate procedures and allows for better consistency and precision. Opponents say that the da Vinci might make surgeries more complicated, either because doctors aren't properly trained or because of system malfunctions. Teams at Carnegie Mellon University and Johns Hopkins are working to fix defects in the robot's hardware and software. Medical Complications Caused by da Vinci Surgery? If you, or someone you love, suffered injuries from a da Vinci robot or other medical product, you may have a case. At Edgar Snyder & Associates, we work quickly to gather medical records and evidence, building your case to get you the compensation you deserve. Call us now at 1-866-943-3427 or fill out the form in the top right of this web page. We'll give you a free, no obligation legal consultation. You deserve to know your legal rights – contact us today, before time runs out. "Mishaps from robotic surgeries are 'vastly underreported' according to new data." The Verge. September 20, 2013.